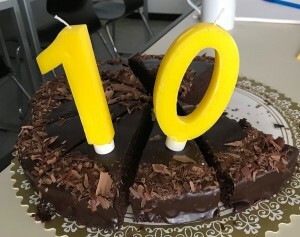 Exactly 10 years ago openrouteservice.org came online for the very first time. Back then it was the very first online routing service consuming data from OpenStreetMap.org covering larger areas. So to say it is ‘the original‘ OSM routing service. It initially started with Germany only and soon we provided routing for Europe and finally the street network covered the whole globe. Pascal Neis did a magnificent job with developing the first version, which was embedded in a project on disaster management, which still is a major topic for the current openrouteservice team and further contributors at HeiGIT and GIScience Heidelberg. Since the already impressive beginnings a lot of new features have been added over the years, the whole system has been iteratively enhanced and now we are proud to provide a free API for external users with all different kinds of services and options. It was a long (and sometimes hard) way from a university project with a single server to a professional and mature API infrastructure and we are happy that we managed to keep it alive and kicking over such a long period of time. This puts it among one of the oldest OSM projects, serving thousands of users and for example even the national German Federal Agency of Cartography and Geodesy (BKG). The latest list of functionalities includes not only routing, geocoding or isochrones (faster and better than ever) on an interactive web map (maps.openrouteservice.org), but APIs for those and further services such as time-distance matrix calculations or a brand new POI API (openpoiservice) - all with professional documentation. ORS supports more specialised routing profiles than ever: from heavy vehicles, wheelchairs, e-bikes to fitness-level biking and others with many options each. Several dedicated ORS instances for disaster response are updated on high frequency. The isochrone service now supports population statistics, there is a QGIS plugin, geoJSON support, a very handy Python library and - spoiler alert - soon we introduce a library for R users. So stay tuned for the future! Further information on ORS and related activities can be found in the GIScience Blog and of course at Openrouteservice.org.